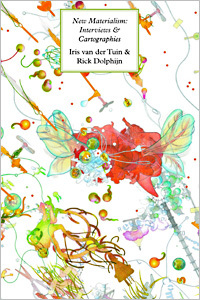 Rick Dolphijn and Iris van der Tuin are the editors of the book New Materialism: Interviews & Cartograhies (2012) that aims at producing an open cartography of new materialism. The first part of the book contains interviews with the most important scholars working in the field of new materialism: Rosi Braidotti, Manual DeLanda, Karan Barad and Quentin Meillassoux. The second part situates the new tradition of new materialism in contemporary scholarly thought and deals with questions on transversality, dualism, sexual differing and post-humanism. New Materialism is published by Open University Press and can be found and read here. Rick Dolphijn is a writer and a philosopher who works on materialist culture and materialist philosophy. He has published two books (2004, 2012 with Iris van der Tuin) and is finishing a third (edited with Rosi Braidotti). Currently he reads Guattari and Deleuze, Spinoza and Malabou and writes on ecology, art and activism. He teaches at Utrecht University and is strongly involved with its Centre for the Humanities. Iris van der Tuin is Assistant Professor of Gender Studies and Philosophy of Science in the Graduate Gender Programme of Utrecht University, the Netherlands. She edited Doing Gender in Media, Art and Culture (Routledge, 2009) with Rosemarie Buikema, and wrote New Materialism: Interviews & Cartographies (Open Humanities Press, 2012) with Rick Dolphijn. Her articles have appeared in among others Hypatia: A Journal of Feminist Philosophy, Australian Feminist Studies, European Journal of Women’s Studies, History of the Human Sciences, Philosophy&Technology, Women: A Cultural Review and Women’s Studies International Forum. 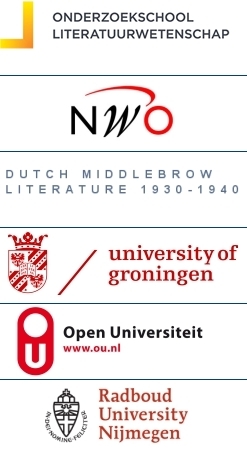 She is currently finishing her NWO-Veni project ‘The Material Turn in the Humanities’ and has recently received an EU-Cost grant in order to set up the network New Materialism: Networking European Scholarship on ‘How Matter Comes to Matter’.